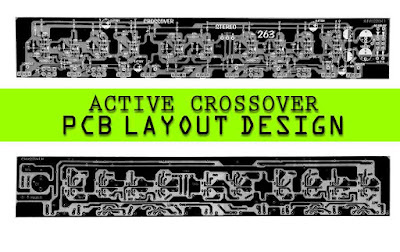 An active crossover circuit will certainly produce better sound quality than the passive type, the LM741 IC used in the audio circuit this time is quite easy to get to be used as a crossover that will be forwarded to the power amplifier. 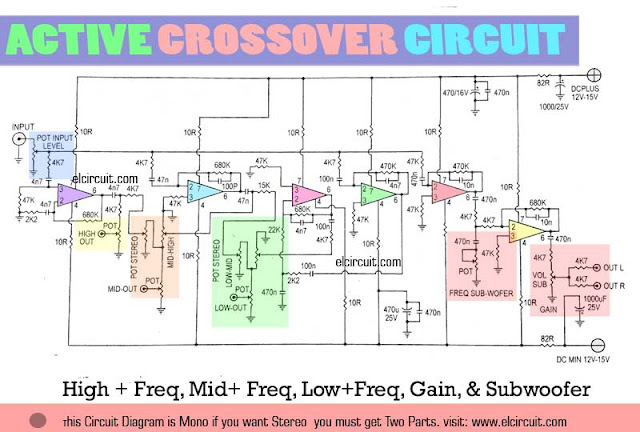 Crossover on the amplifier, there are two types of crossover that is, active crossover and passive crossover. Each crossover has advantages and disadvantages depending on the needs of each. 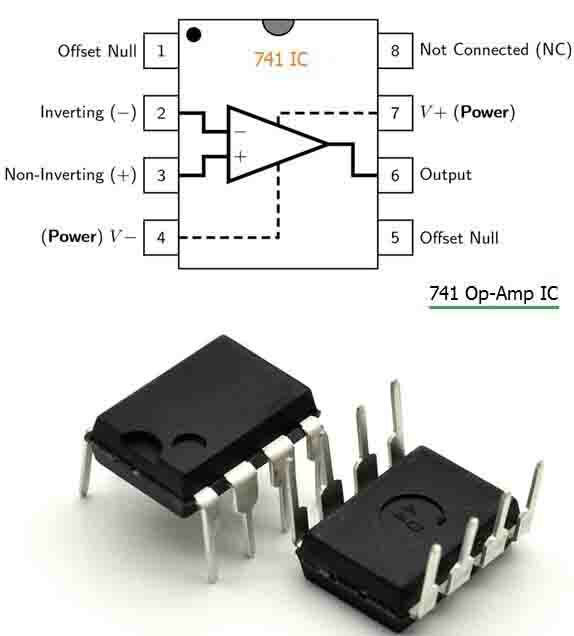 While on the crossover circuit that I share here is an active crossover circuit using IC LM741 which is none other than single op-amp IC. 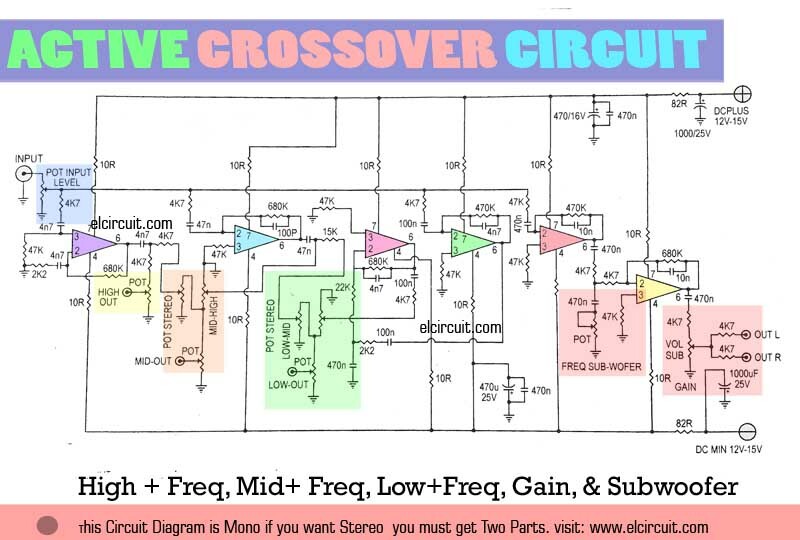 Active crossovers will certainly provide better quality for your Hi-fi system that intends to upgrade the sound quality. The workings of this active crossover simply by breaking the audio input signal into 4 bands, low frequency, medium frequency, high frequency and subwoofer frequency. 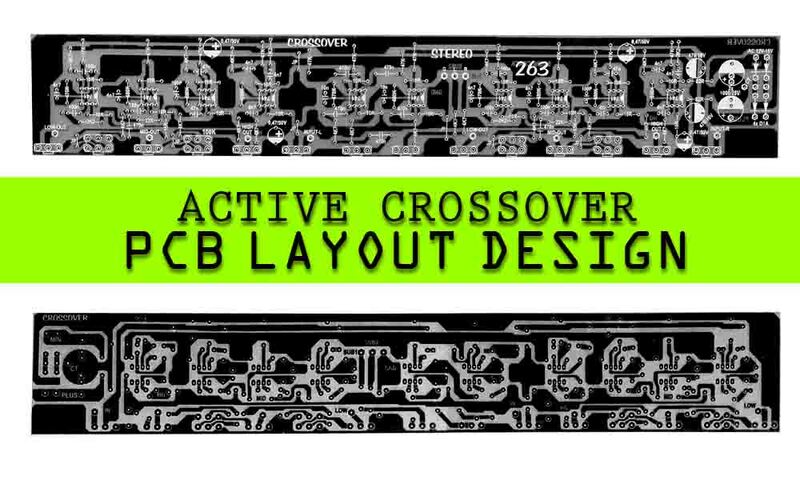 The circuit can be activated using double supply +15 / -15 V DC.Below the schematic diagram of active crossover circuit. Resistors and capacitors can be replaced to produce different frequency amplifiers.